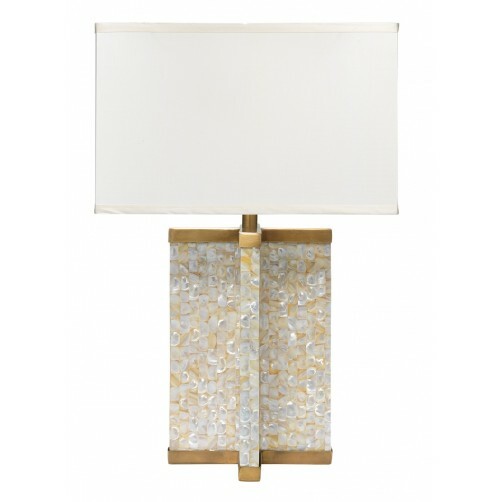 The Axis Table Lamp is an axis of symmetry shaped base accented by shimmering mother of pearl. The lamp evokes a contemporary and textural feel that will translate into any space beautifully. 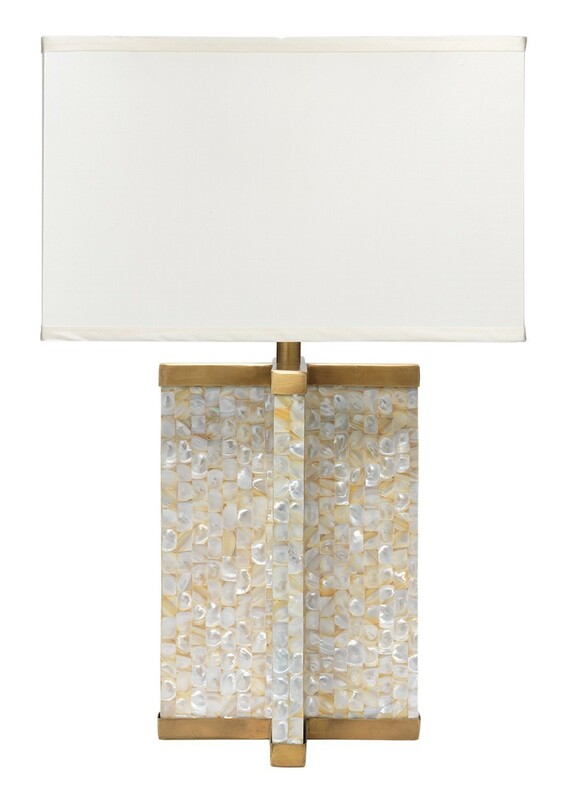 A simple rectangle shade in cream silk compliments the antique brass accents and mother of pearl base perfectly.